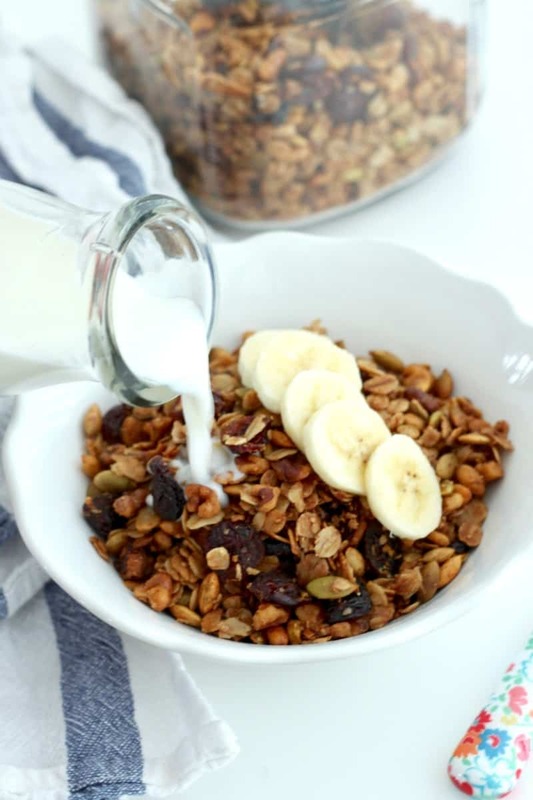 Easily make your own granola with simple, healthy ingredients you already have on hand. 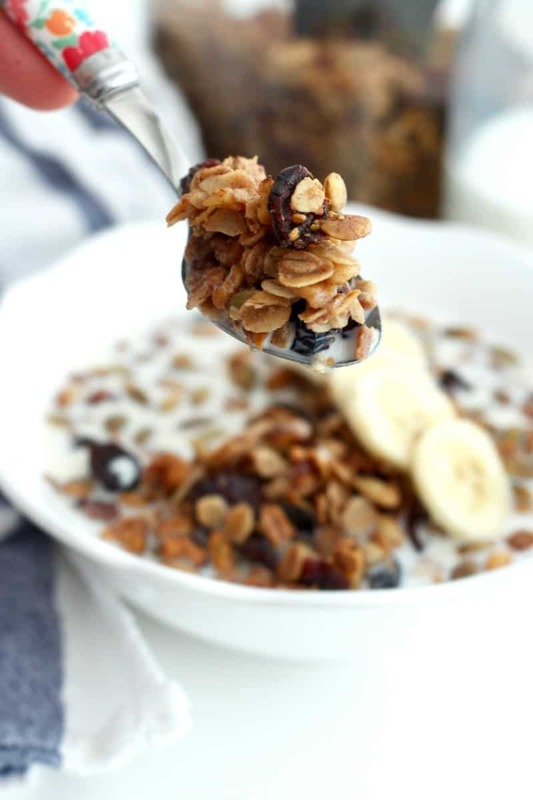 This maple walnut granola makes for a great breakfast or afternoon snack. 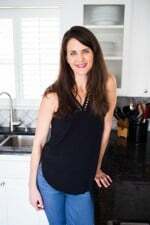 As much as I love my sweets, indulgent eats and fun drinks, I’m all about balance and believe that eating healthy foods and staying active are so important to a happy and healthy life. 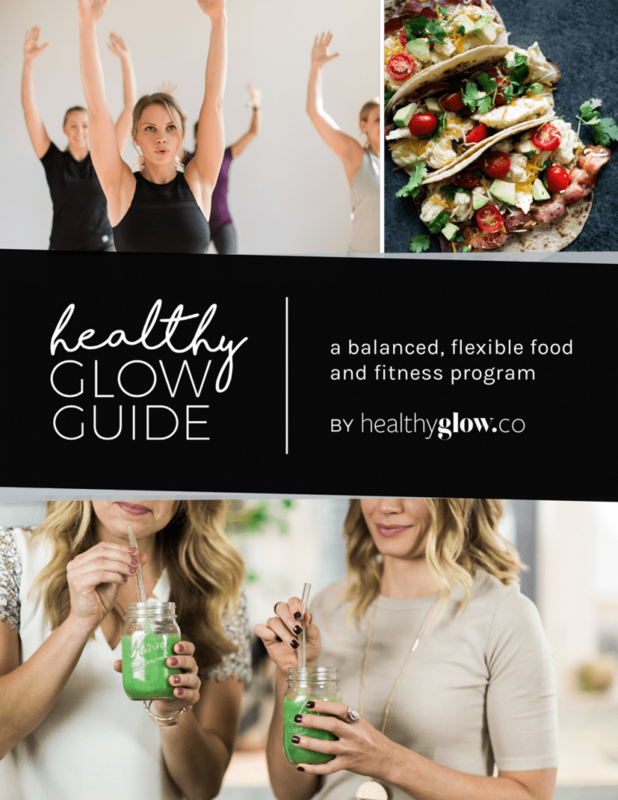 So when my friends, Monique of Ambitious Kitchen and Lee of Fit Foodie Finds, created The Healthy Glow Collective I was eager to join and get my hands on one of their guides. 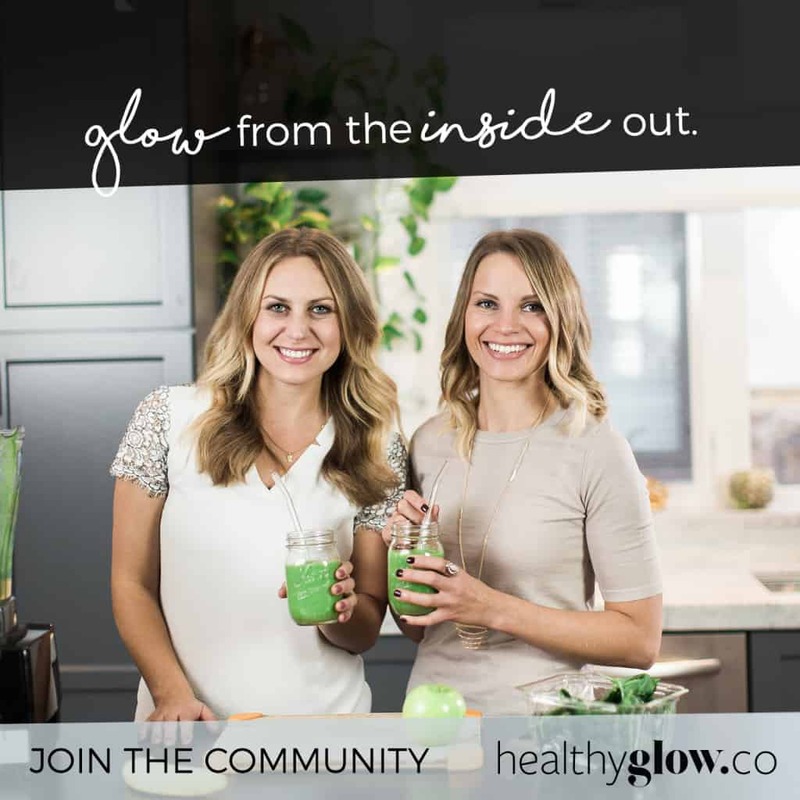 The HealthyGlow.co is a community and resource that encourages women to live a healthier lifestyle based on a balanced approach to health without any guilt or restriction. A community of women from all walks of life coming together to encourage and support each other in living a healthy active lifestyle. I love it! 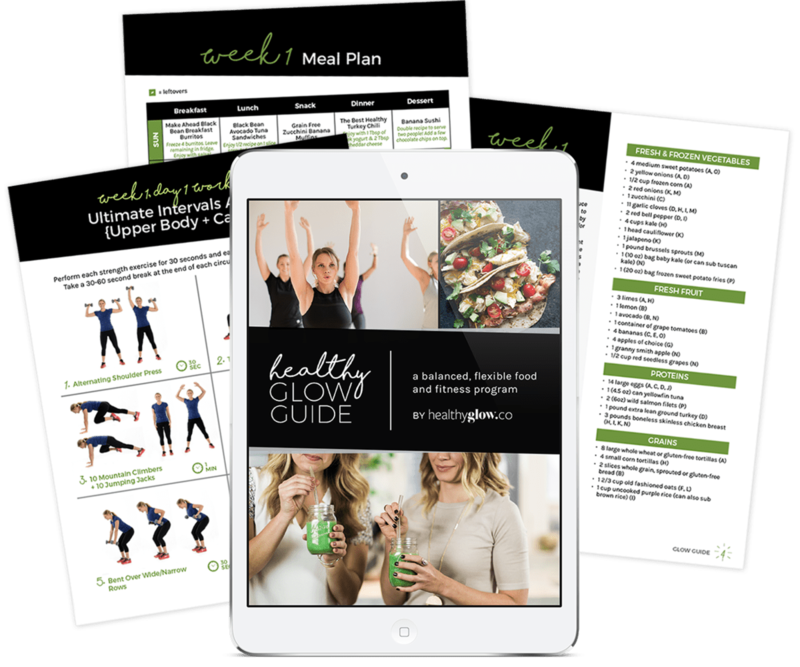 When you buy The Healthy Glow Guide (starting at $64), you’ll be getting a comprehensive 6-week meal and workout program that’s approachable and exciting! 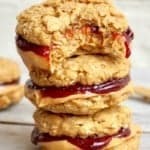 These ladies know their stuff when it comes to delicious recipe creating and effective workouts and they’ve done all the leg work for us in this guide. No need to spend hours each week searching for recipes, planning out your meals, creating a grocery list or finding good workouts. It’s already all done. All you have to do is put their plan into action. We’re talking a weekly meal plan with everything from breakfast to dessert. Yes, dessert! These girls believe in treating yourself everyday and I couldn’t agree more. There’s also a weekly grocery list that’s organized by recipe. 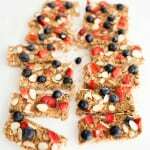 I’ve already made several of the recipes within the meal plans and I can guarantee you they taste great and satisfy. They’ve also designed 3 workouts per week that you can do anywhere. As a mama of 4 with an unpredictable schedule, I love that I can squeeze these workouts into my day in just 30 minutes from home, the gym or even when we’re traveling. 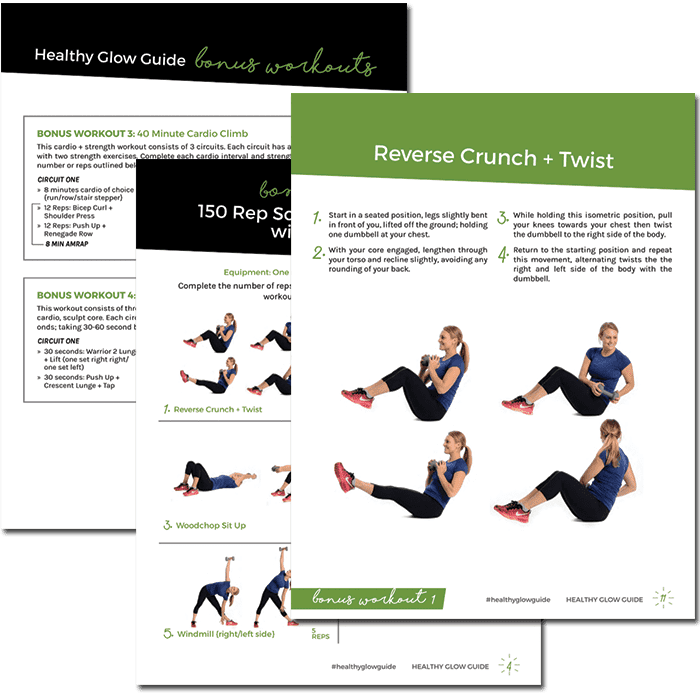 Each workout comes with step-by-step instructions and images. And best of all, you get to join a community of like-minded women on a mission to feel and look their best. By joining the program and private Facebook group, it’s easy to connect with other participants as well as Monique and Lee for daily motivation and inspiration. I’m excited to share just one of the recipes with you as a sneak taste into all the deliciousness you’ll find in The Healthy Glow Guide. 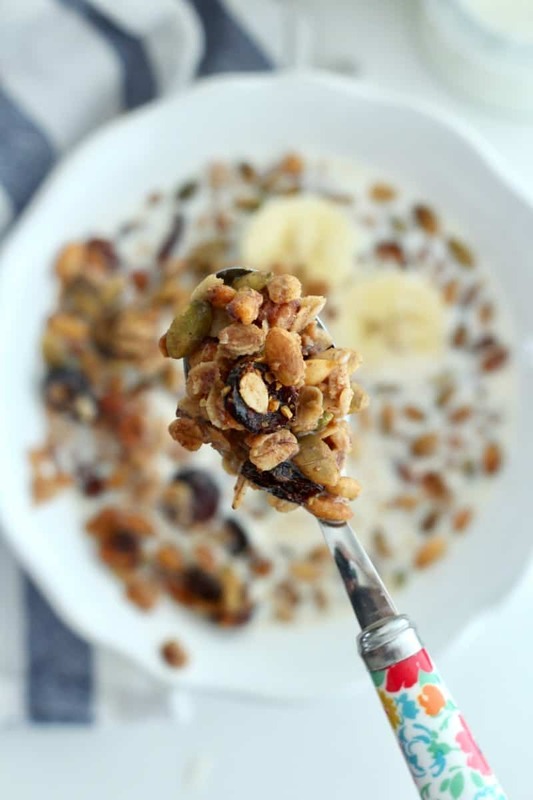 This maple walnut granola is simple and scrumptious. 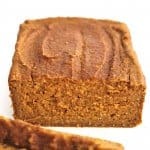 It’s made with healthy, wholesome ingredients you probably already have in your kitchen. 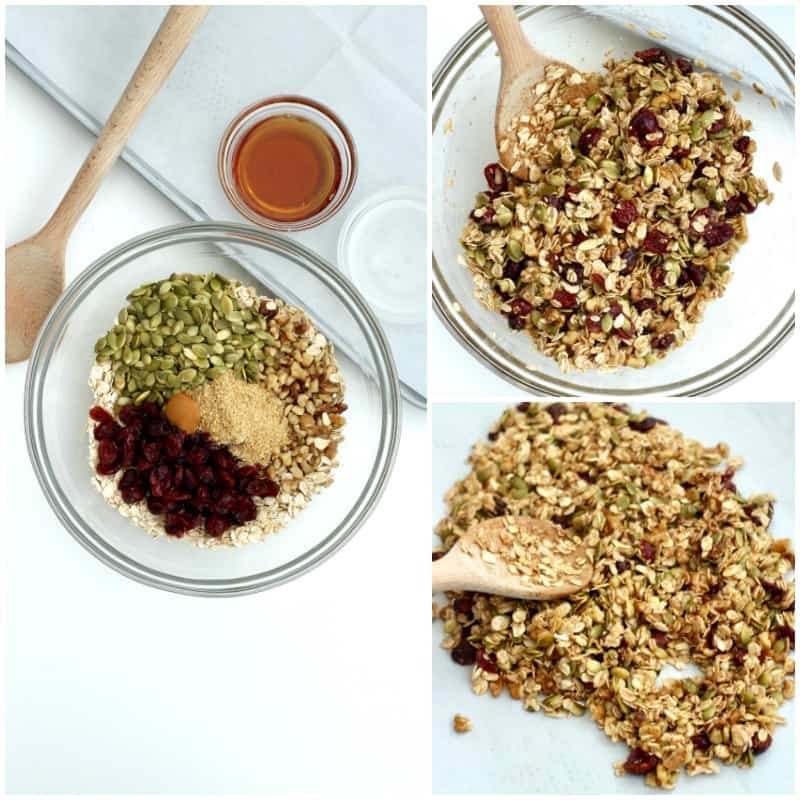 It’s lightly sweetened with maple syrup, spiced with cinnamon and full of tasty texture from the toasted oats, walnuts, pepitas and cranberries. It comes together in no time and bakes for just about 30 minutes. 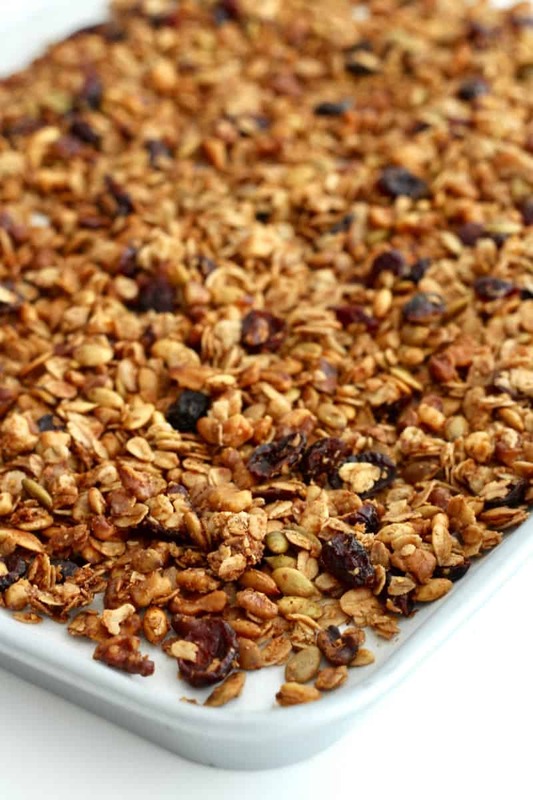 My family is very familiar with the wonderful aroma that fills our house as I’m baking this granola and everyone comes running once it’s out of the oven. Sometimes it never makes from the sheet pan to our breakfast bowls. 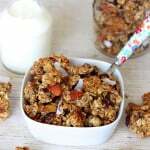 I’ve had to start doubling (and sometimes tripling) the recipe because my granola-loving family of 6 is crazy about it! 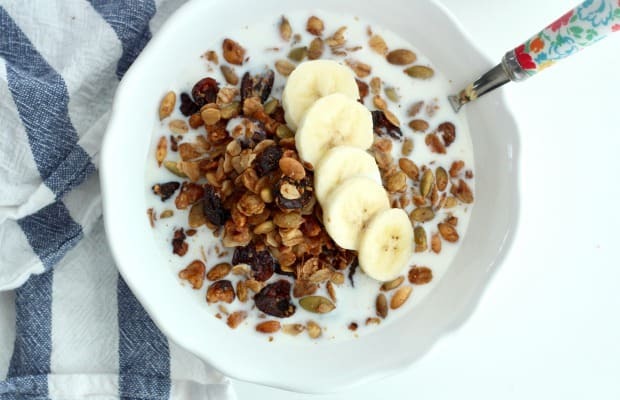 We eat it in a bowl with milk, sprinkled over our yogurt or just by the handfuls straight off the pan. 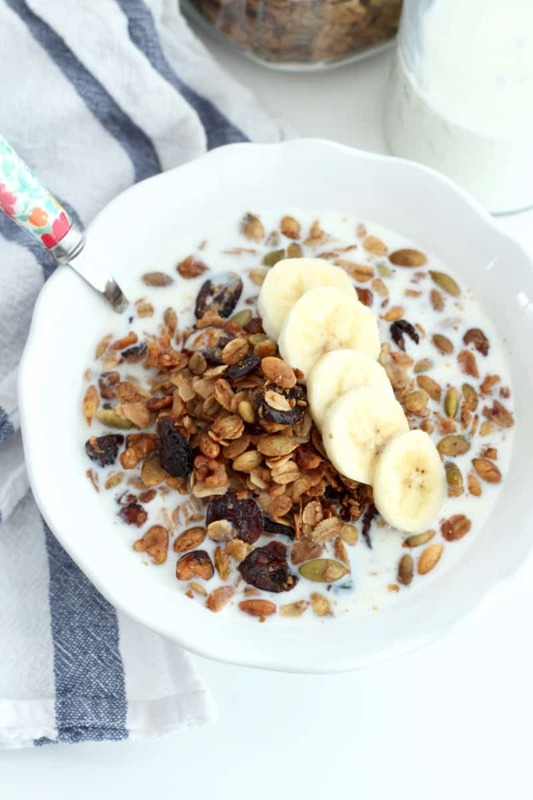 It’s a good go-to granola recipe. 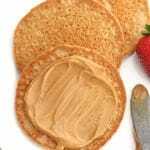 To learn more about The Healthy Glow Guide, check out the website and watch this Video Trailer. A huge congratulations and thanks to Monique and Lee for their passion and vision that’s sure to bring healthier and happier lifestyles to so many women.